As well as auto detect you can check status and manually connect and disconnect to the ChessLink module via Bluetooth. Support for the Millennium M2000 Auto Sensory Chess Board via the Millennium Chess Link. Simply start the application and it will check if the ChessLink module is available to connect to via Bluetooth. 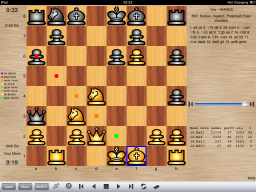 HIARCS is a World Championship winning chess program that has proven to be the strongest chess program on Palm and Pocket PC devices and is now available for the iPad. 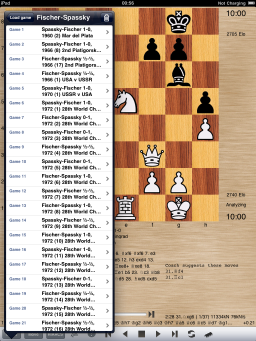 HIARCS 13.3 for iPad has the functionality and chess strength to offer a huge range of features for all players from beginners to Super Grandmasters. HIARCS is the only handheld chess program in the world which has won Grandmaster tournaments. In August 2009 it won the Mescusor Cup in Buenos Aires, Argentina ahead of Grandmasters, while scoring an incredible undefeated 9½/10 points (9 wins, one draw). 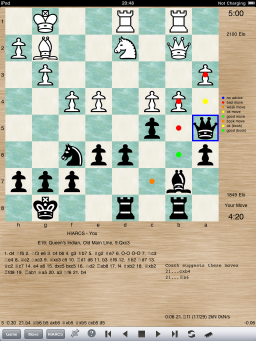 This is a performance of 2938 Elo which is the best chess performance rating for any handheld device in history and higher than Garry Kasparov's peak Elo rating! HIARCS also has the second and third best ever chess performances on handhelds as well having won two other Grandmaster tournaments. It also has many match wins over Grandmasters in the past 4 years on handheld devices! This power enables your iPad to play chess like a super Grandmaster, analyse games and chess problems with you, or play at whatever chess strength you want from beginner to GM while offering numerous features to help you learn and improve as you play with HIARCS. A very advanced set of coaching assistance is present to help players of all strengths really improve their chess play while having fun. HIARCS iPad Chess has a full range of realistic weaker opponent strengths and playing styles catering for all players from absolute beginners to professional Grandmasters. On the weaker playing levels HIARCS will make human-like mistakes appropriate to the level of play and this together with the integrated coach advice, assessments and alerts allow you to learn and improve quickly. HIARCS can even adjust its playing strength as you improve and learn more. HIARCS iPad Chess is even able to save battery life by using much less energy on any weaker levels, allowing more playing time on long journeys etc. HIARCS has a large tournament book which is right up to date with chess theory in summer 2011 with hundreds of thousands of positions, moves and variations, in fact there are over 235,000 variations! 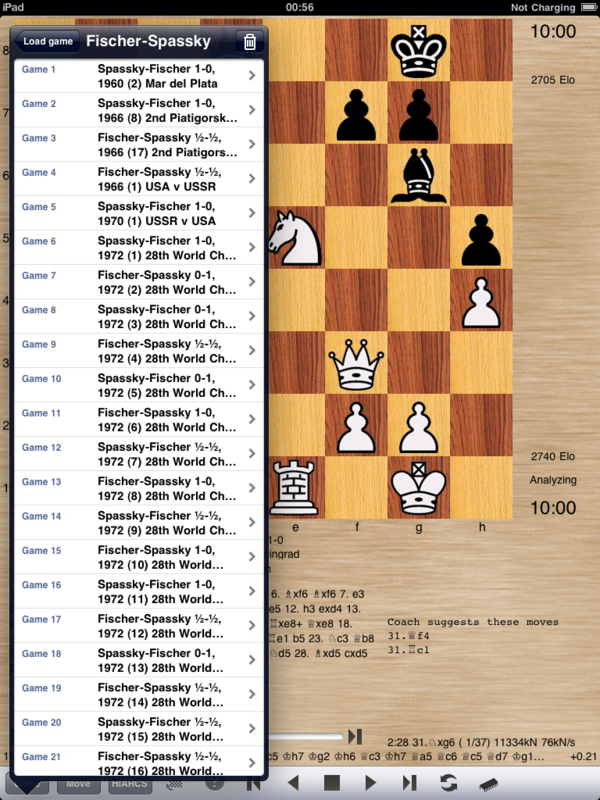 The book moves are displayed on screen with chess symbols and the opening variations are even named. 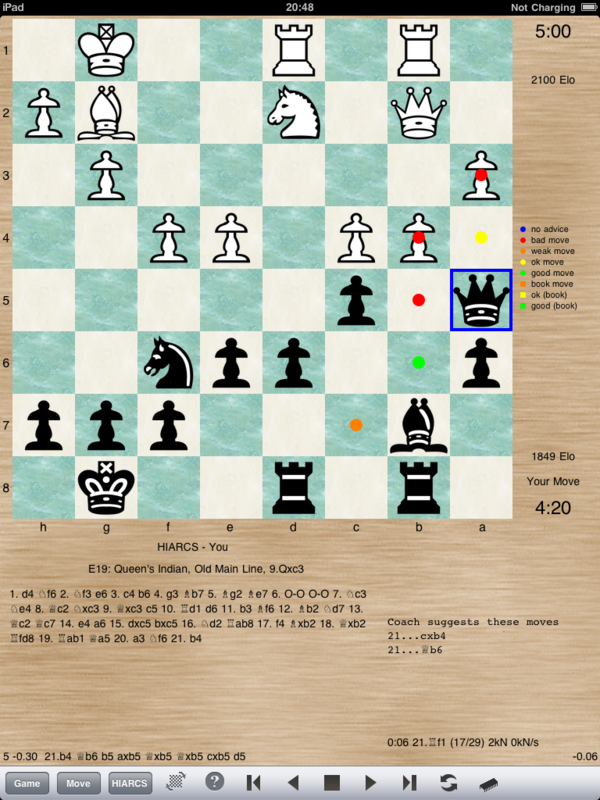 HIARCS also monitors your chess performance and rates your chess play tracking your chess ability in every game. This enables HIARCS Chess to adapt to your ability offering you challenging yet beatable opponents essential to help you progress quickly. In a nutshell, HIARCS IPad Chess combines a truly outstanding chess playing program with superb user friendly features for chess players of all strengths. Latest HIARCS 13.3 chess engine - the only handheld chess program to win IM/GM tournaments and matches and achieve an unprecedented 2900 performance rating. The strongest program with genuine super GM level performance. 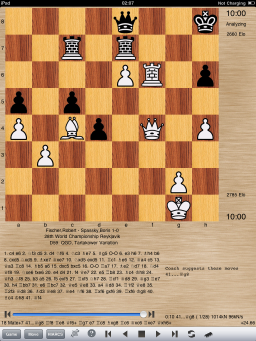 The immense chess strength allows faster responses and less usage of the devices battery to reach desired chess strength on the numerous weaker levels - a big advantage giving extended battery life during use and chess play/analysis. 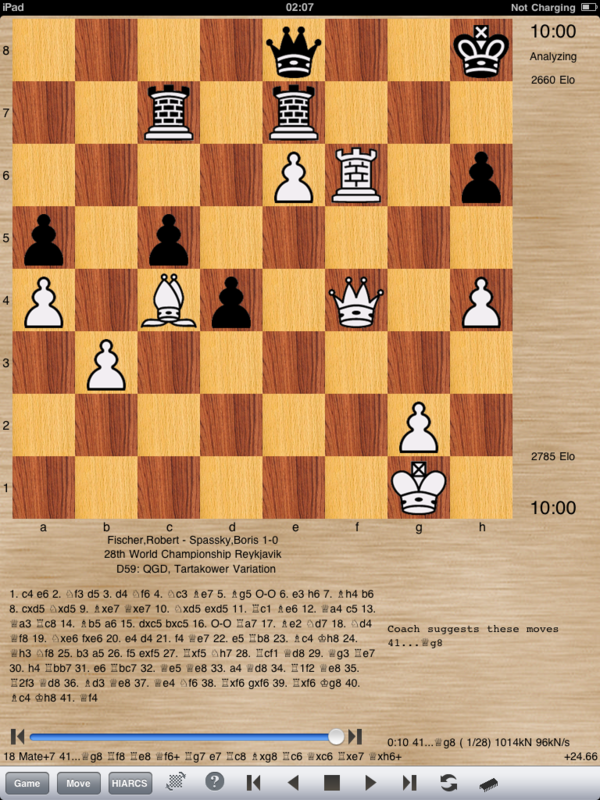 Large HIARCS tournament opening book with hundreds of thousands of positions, moves and variations, in fact there are over 235,000 variations with symbols and chess openings named! 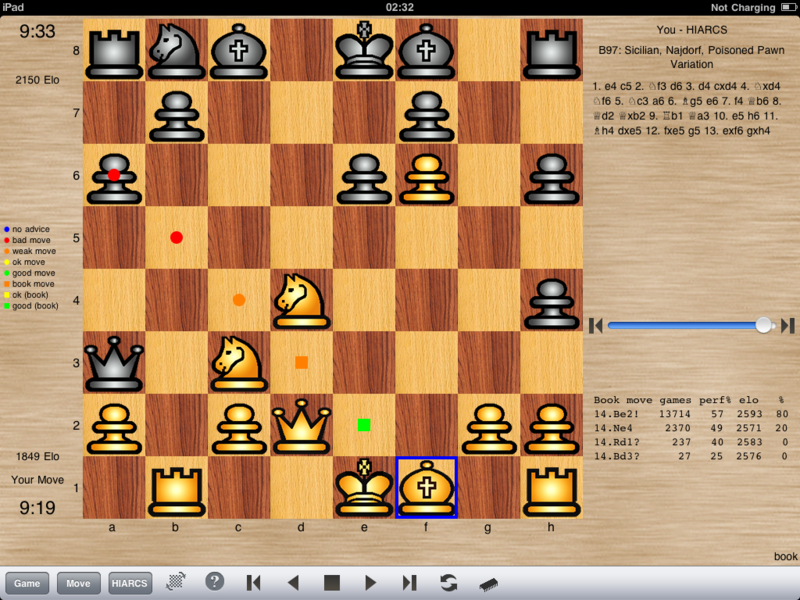 I would like to thank the following people whose content has been included with HIARCS Chess 13.6 for the iPad. Special thanks goes to Tord Romstad for his excellent GUI framework without which this project would of been much more time consuming.  Copyright © 1991-2018 Applied Computer Concepts Ltd. All rights reserved. Last modified: Sunday November 11, 2018.